Agusan del Sur (Butuanon: Probinsya hong Agusan del Sur; Cebuano: Habagatang Agusan) is a landlocked province of the Philippines located in the Caraga region in Mindanao. Its capital is Prosperidad and borders, from the north clockwise, Agusan del Norte, Surigao del Sur, Davao Oriental, Compostela Valley, Davao del Norte, Bukidnon, and Misamis Oriental. Agusan derived its name from the local dialect, agasan, meaning "where the water flows", referring to the Agusan River that splits the land and meanders south to north in a 250-kilometre (160 mi) rush to Butuan Bay. It is third largest river in the country and served as highway for the Spanish colonizers in gaining access to inner northeastern Mindanao. The Agusan Valley was settled by a variety of cultural communities like the Manobos, Mamanwas and Higaonons. Archeological excavations in the lower Agusan valley plains have uncovered evidence of strong relationships between the region and the Southeast Asian states. 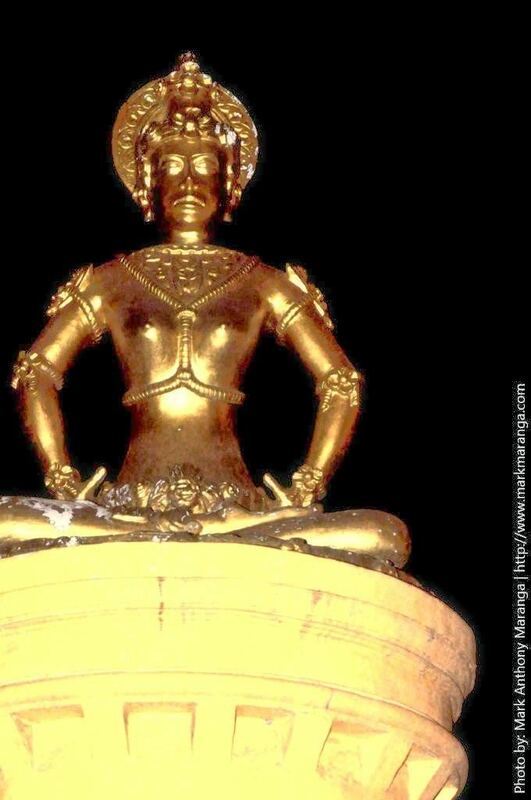 A golden image of Javan-Indian design unearthed in the 1920s and molten jars uncovered in Prosperidad are indications that the region had commercial and cultural ties with the coast. The Augustinian Recollects established a mission in Linao, in the vicinity of present-day Bunawan, in 1614. However, mission work was hampered by the hostility of the surrounding Manobo tribes. At the height of the power of the Sultanate of Maguindanao in the mid-17th century, the Manobos of the Agusan Valley were in alliance with Sultan Kudarat. Linao was attacked several times during the 1629 Caraga Revolt and the 1649 Sumuroy Revolt. Nevertheless, the Recollects were able to establish themselves in their mission work, and remained there until the middle of the 19th century. In the late 19th century, the Recollects (under protest) turned over many of their mission territories, including those in the upper Agusan region, to the reconstituted Jesuit order (the Jesuits had been banned by Papal edict in the 1760s, and ejected from the Philippines in 1768). Missionary work was interrupted by the Philippine Revolution when the Jesuits either fled or were arrested by revolutionaries. During the American occupation, lumbering became an important activity in Agusan del Sur. Visayan migrants settled in the cleared plains, pushing indigenous communities farther into the mountainous slopes. 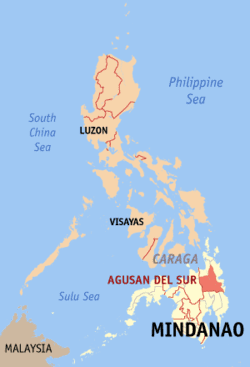 The territory of Agusan del Sur was governed as part of the province of Caraga during most of the Spanish period. In 1860, it was placed under the comandancia of Butuan, a district of the province of Surigao. In 1914, the province of Agusan was created by the American government. In the Second World War, Japanese troops landed in the province of Agusan in 1942 and occupied the province until their defeat by combined U.S. and Philippine Commonwealth troops as well as recognized guerilla units in 1945 at the Battle of Agusan. The general headquarters and military camp and base of the Philippine Commonwealth Army was active from January 3, 1942, to June 30, 1946, and the 10th Infantry Regiment of the Philippine Constabulary was active again from October 28, 1944, to June 30, 1946, are military stationed in the province of Surigao was composed to engaging operations against the Japanese Occupation. In 1945, Filipino soldiers of the 6th, 10th, 101st, 102nd, 103rd, 107th and 110th Infantry Division of the Philippine Commonwealth Army and the 10th Infantry Regiment of the Philippine Constabulary together with the recognized Agusan guerrilla fighter units against the Japanese forces beginning the liberation in Northern Agusan during World War II. During World War II, a unit of the joint Philippine-American defense force were located at Manot, Talacogon, in the interior of the Agusan Valley. 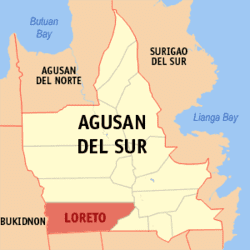 The province of Agusan del Sur was established on June 17, 1967, under Republic Act No. 4969 providing for the division of the province of Agusan into Agusan del Norte and Agusan del Sur. In January 1970, the first set of provincial officials assumed office after the provincial election of November, 1969. The same law provided that the capital of Agusan del Sur be the municipality of Prosperidad. The Government Center has been set up in Barangay Patin-ay. The history of Agusan del Sur is essentially linked with that of its sister province, Agusan del Norte. Agusans pre-Hispanic cultural history is traced back to the great influence of the Majapahit Empire through the discovery of an 8-inch (200 mm) tall image of a woman in pure gold at Maasam, Esperanza in 1917 and molten jars unearthed at Bah-bah, Prosperidad. The aborigines of Agusan del Sur are the ancestors of the present day Mamanwas, who were driven to the hinterlands by waves of Malay immigrants. These immigrants, in turn, sought the protection of the interior jungles because of the forays and the constant raids of "moro" pirates. The "moros" being seafaring people confined themselves to the coastal areas, where they started their settlements. In 1976, the province's land area was 8,568 square kilometres (3,308 sq mi), making it the seventh largest province in the country. After claiming the disputed boundary between Davao del Norte, Butuan City and with the creation of Sibagat, Agusan del Sur now has an area of 8,966 square kilometres (3,462 sq mi). The municipalities of Loreto, La Paz, Esperanza, and San Luis are the four largest municipalities in land area comprising almost 60% of the province's total land area. Santa Josefa and Talacogon, also river towns, have the smallest land area. Forestland constitutes 76% of the total land area or 6,827.5 square kilometres (2,636.1 sq mi) while the alienable and disposable constitutes about 24% or 2,137.5 square kilometres (825.3 sq mi). Present land use, however showed that settlements and commercial areas already occupy some of the forestlands. Through the years, the province has lost much of its forest resources because existing industries are extractive in nature. Agusan del Sur is an elongated basin formation with mountain ranges in the eastern and western sides forming a valley, which occupies the central longitudinal section of the land. The Agusan River, which flows from Compostela Valley in the south towards Agusan del Norte in the north, runs almost in the middle of the valley and empties at Butuan Bay. The river has twelve tributaries: Wawa, Gibong and Simulao Rivers in the eastern side and Ojot, Pusilao, Kasilayan, Libang, Maasam, Adgawan, Cawayan, Umayam and Ihaon Rivers in the western side. These tributaries are fed by streams and creeks. The southern half of the province from the municipality of Veruela is an area filled with swamps and lakes, the biggest of which is Talacogon Lake. The climate map of the Philippines based on the modified coronas classification shows that the province falls under Type II. Type II climate has no dry season with very pronounced wet season of heavy precipitation. Maximum rainfall generally occurs from December to January although there is no single dry month. Its average monthly rainfall is 355 millimetres (14.0 in) and average temperature is 27.15 °C (80.87 °F). Areas characterized by this climate type are generally along or very near the eastern coast thus are open to the northeast monsoon. Agusan del Sur comprises 13 municipalities and 1 city. The population of Agusan del Sur in the 2015 census was 700,653 people, with a density of 70 inhabitants per square kilometre or 180 inhabitants per square mile. In 2000, the province had a population of 559,294. This represented an increase of 44,558 persons or 7.96% since 1995. The annual population growth rate was 1.79%. 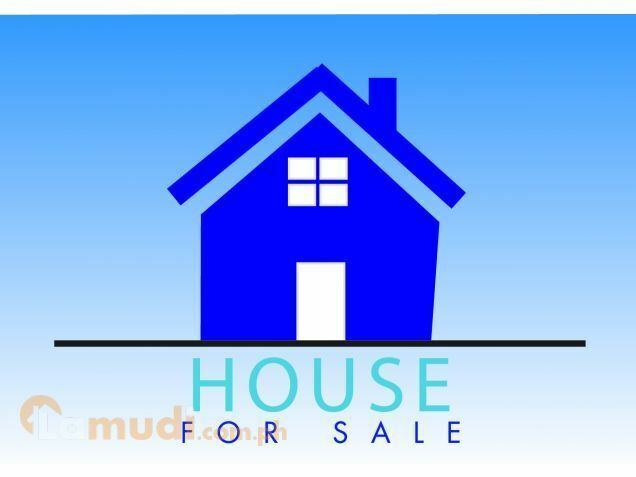 The 103,637 households had an average household size of 5.39 persons. The population density was 62 persons per square kilometer, with a male to female ratio of 107:100. 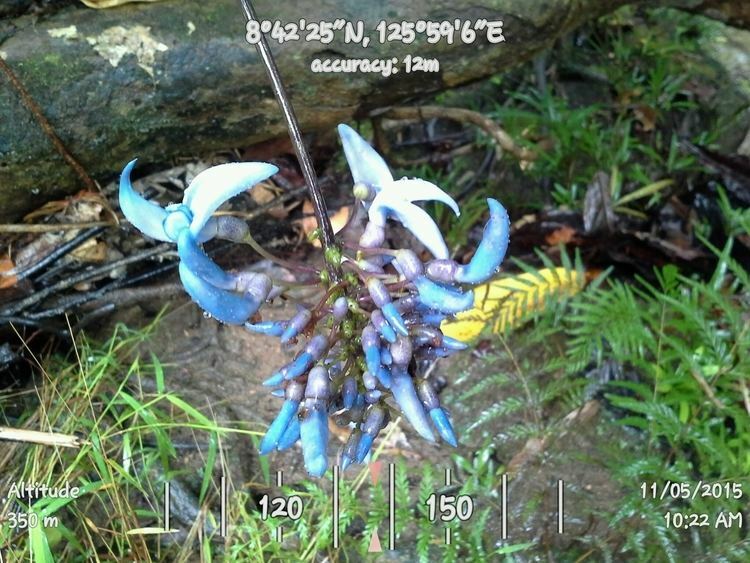 Five tribal groups are found in the province: Aeta, Mamanwa, Bagobo, Higaonon, and Manobo. The Manobos live along the national highway and river towns towards the boundary with the Compostela Valley. The Higaonons live mostly on the western side of Agusan River, generally in Esperanza towards the boundary with Bukidnon. The Agusan del Sur population is predominantly composed of immigrants from the Visayas. Intermarriages between immigrants and natives have pulled down the percentage of the lumad stock. Cebuano is the most common language spoken in Agusan del Sur. The predominant religion is Roman Catholicism with 79% of the population. Other religions include the Seventh-day Adventist Church, Aglipay, Iglesia ni Cristo, United Pentecostal Church, Born Again and the United Church of Christ in the Philippines and also Islam Latter Day Saints. Based on the 1995 census, 75% of the labor force is engaged in agriculture and forestry. Rice, corn and fruits are among the major agricultural crops. Agusan del Sur has a labor force of 287,000 people, mostly in the agriculture and forestry sector. Several colleges, including a university, add to a trainable, English-speaking workforce. The province also has educational establishments offering skills development courses in Information Technology. Rice occupies the largest cultivated area, with 243.85 square kilometres (94.15 sq mi) of irrigated area with a yield of 410 t/km², and rainfed rice with an area of about 165.73 square kilometres (63.99 sq mi) with a yield of 300 t/km². The province's rice production has the estimated capacity to feed 1,072,456 people—far more than the provinces population. Ironically, rice insufficiency persists, especially in the upland and hard to reach barangays. Corn plantations cover 255.25 square kilometres (98.55 sq mi) for both white and yellow corn with a total production of 55,767 t in 2000 with surplus corn grits of 31,106 MT enough to feed more than 2 million people, four times greater than the province's population. Banana is another abundant crop covering an area of 127.45 square kilometres (49.21 sq mi). Banana chips are also processed in the province. Oil palm plantation covers 118 square kilometres (46 sq mi). The plantation is a Malaysian-Filipino joint venture, with agrarian reform beneficiaries as land owners. Crude oil is processed in the sites of Rosario, and Trento. Coconut trees are widespread in the province, covering 393.36 square kilometres (151.88 sq mi). Despite the government's efforts to increase poultry and livestock production, deficits in meat supply persist. Processed poultry and beef are imported from Davao City and Cagayan de Oro City. Agusan del Sur is highly dependent on Surigao del Sur and other provinces for the supply of marine products. However, the province has abundant supply of fresh water fish like mudfish, catfish and tilapia. Agusan del Sur has two congressional districts encompassing its 13 municipalities and 1 component city. 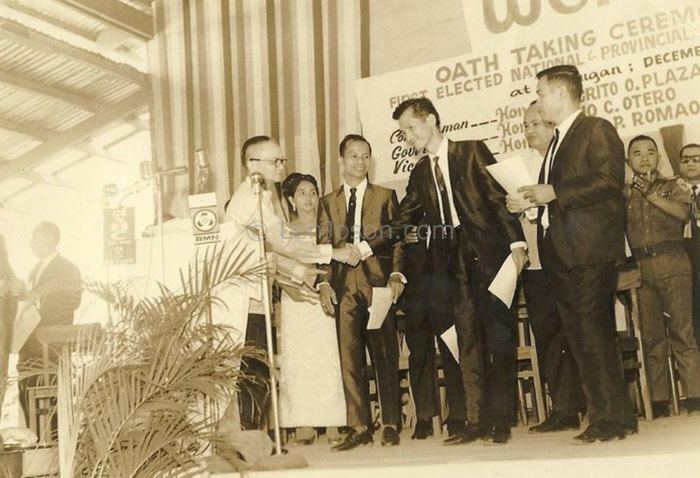 Rufino C. Otero was elected as the first Provincial Governor and Democrito O. Plaza the first Congressman in the election of November 1969. The term of office of Congressman Democrito O. Plaza would have continued until December 1973 had it not for the proclamation of Martial Law on September 21, 1972, which in effect abolished the Congress. When the Interim Batasang Pambansa was convened in 1978 after almost a decade of absence under the martial Law, Edelmiro Amante represented the province in the National Assembly. The province annually celebrates its Naliyagan Festival, a celebration of the foundation anniversary of Agusan del Sur which is a week-long socio-cultural and arts exposition of indigenous tribes in the entire Agusan valley and displaying their skills and gracefulness in dancing as part of their ritual activities. It is being held in the Naliyagan Plaza at the Agusan del Sur Capitol Grounds in the municipality of Prosperidad. Naliyagan is a Manobo word which means "the chosen one" or "the most loved one". One of the most ecologically significant wetlands in the Philippines, the Agusan Marsh is situated in the heart of Mindanao's Agusan Basin, covering an area of 14,000 hectares (140 km2). It contains nearly 15% of the nation's fresh water resources in the form of swamp forests. During the rainy season, when the water rises to create large lakes, vast number of ducks come to Agusan Marsh to nest. In the dry months, thousands of birds come from as faraway as Japan, China and Russia to escape the chilly winter winds of Northern Asia. Over 200 individual species have been known to spend at least part of the year in the marsh, making it one of Asia's most important transit points for wild birds. In the very heart of the marsh is a semi-permanent lake where many square kilometres of lily pads, hyacinths and other hydrophytic plants thrive. In the dark tea-colored waters live catfish, carp, soft-shell fresh water turtles, and crocodiles. Agusan Marsh is also host to "Wonderland", where natural "bonsai" trees crafted by nature can be found. It can be reached from Barangay Caimpogan or from Barangay New Visayas in the municipality of San Francisco. The tiny community of mostly ethnic Manobos have made their permanent homes deep within the marsh, living on floating homes. The small houses made of bamboo and nipa lashed to hard wood logs, freely rise or fall with the level of the marsh itself. Located in Brgy. Mabuhay, Prosperidad, accessible by mountain or river trekking from the barangay proper. The Gibong River is a stretch of water with a view of unharmed vegetation in its banks. The river is the only gateway to Binaba Falls. It is also the source of water supply irrigating some 60 square kilometres (23 sq mi) of rice fields of three municipalities in the province. The Binaba Falls is situated in the heart of a jungle-like foot of the mountain, with clear waters emitting from the springs, cascading onto boulders of limestone. The falls offer a refreshing bath after a fifteen-minutes ride on a motor-banca from the mini wharf of Prosperidad town passing along the Gibong River. The name derived from the word Tugon meaning "a promise", Tugonan waterfalls is situated in Barangay San Lorenzo of Prosperidad.